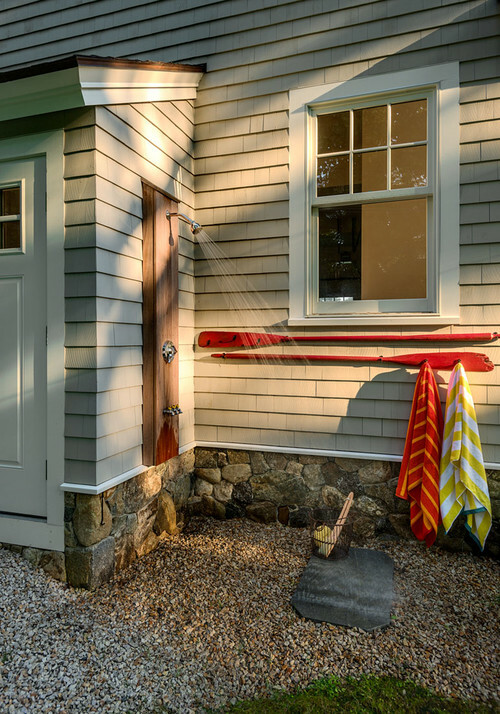 You may think of an outdoor shower as belonging at a beach house, and while that’s certainly true (see No. 8 below), sand and salt aren’t the only things outdoor showers are good for. 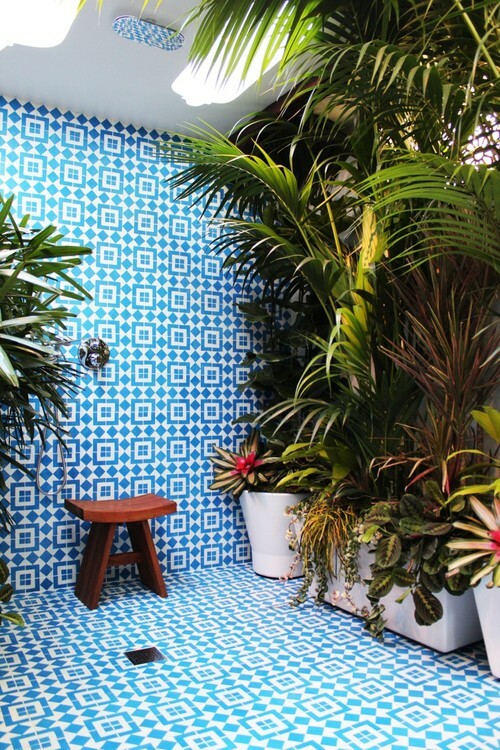 Here are 10 reasons to love outdoor showers, whether you live by the coast or miles from it. 1. 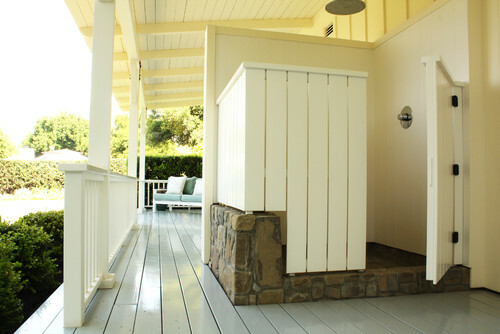 An outdoor shower makes an ideal pool house cleanup and changing area. If you have a pool (or hot tub), adding an outdoor shower can make the experience of getting in and out a bit easier. No more dripping water through the house when you can rinse, dry and change in the comfort of a private outdoor shower. 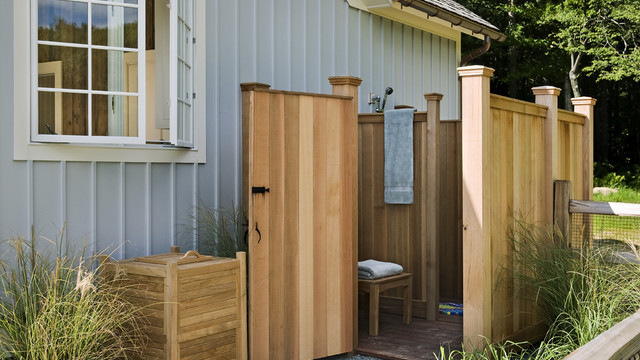 Use a Room Divider to Add More Privacy to Your Outdoor Shower. 2. An outdoor shower is handy for getting kids clean … without mucking up the house. If you have young children, you’re probably well practiced in the art of wrangling a dirty/muddy/wet child (along with all of those wet and muddy clothes) through the house to the bathroom at cleanup time. With an outdoor shower, wee ones can get squeaky clean without the mess ever seeing the inside of your house. Bonus: Fussy kids who resist getting hosed off from a cold-water-only spigot usually love a nice warm outdoor shower. you’re hosting a crowd of overnight guests, bathroom space can quickly feel limited. Ease the pressure on indoor bathrooms by taking your own showers outdoors (and offer guests the option). Just be sure your outdoor shower has privacy walls and a door that latches. 4. 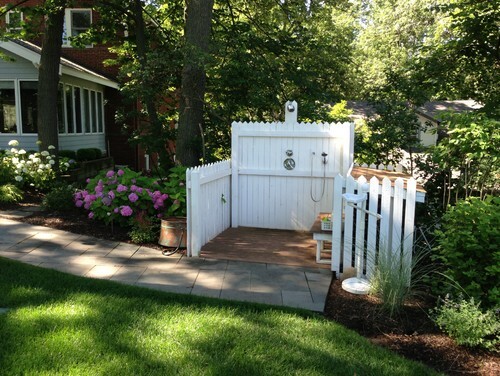 An outdoor shower makes a convenient one-stop dog-cleaning spot. Tired of muddy paw prints in the house? Corral your furry friend in a fenced outdoor shower equipped with a hand-held nozzle, and washing up after a day at the doggy park is a breeze. 5. An outdoor shower can rinse off post-gardening dirt. Avid gardeners know that planting and maintaining a garden is a messy business. Rinse just your feet and garden clogs with a foot-level nozzle, or dunk your whole head under! 6. An outdoor shower is a refreshing way to cool down on a hot day. In areas with hot summers, there are days when cooling down is the only thing on anyone’s mind. Position your outdoor shower in a shady, private spot and indulge in the cool water when the heat is unbearable. 7. 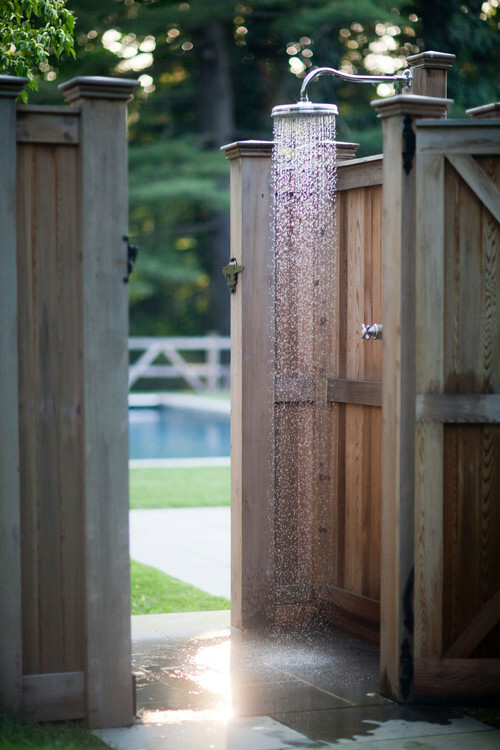 An outdoor shower can give you a resort-like experience at home. Bring home the feel of a tropical vacation with your own outdoor shower, complete with oversize rain shower head. Ramp up the resort vibe by treating yourself to a few fancy bath products to keep in the shower, along with a stack of fluffy white towels nearby. Feeling Ambitious? Try an Outdoor Bathtub Next. 8. 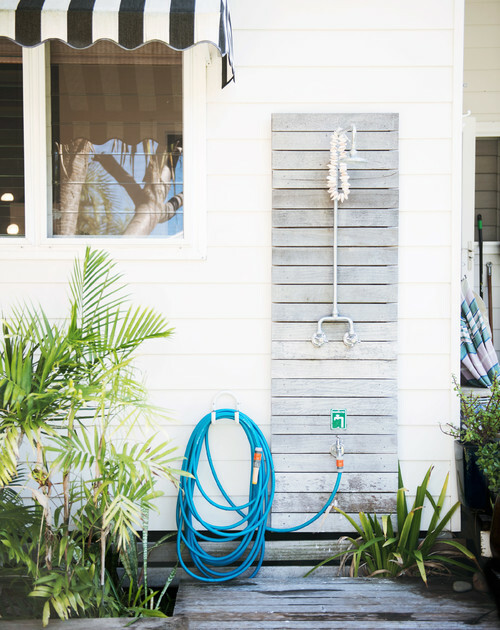 An outdoor shower is a must-have if you live near the beach. If you do reside seaside, an outdoor shower is of course the hands-down best way to keep sand outdoors where it belongs. Installing a foot shower is a worthy addition — even folks who don’t want to bother with a full shower can at least rinse off sandy toes before stepping into the house. 9. An outdoor shower is an easy spot to rinse off after a run. Get quick relief for hot, tired muscles after running with a quick jump in the outdoor shower. It’s easier than going inside, and the breeze will cool you down even quicker. Just remember to set out towels and a change of clothes ahead of time. 10. An outdoor shower makes an everyday routine extra special. As long as it’s private enough, there’s no reason an outdoor shower can’t be used for your daily cleanse, at least in the warmer months. And if it’s as beautiful as the version shown here (complete with a jungle of potted plants), it will feel more like an adventure than a routine. Consult a Design-Build Firm Near San Diego to Start Your Project.